On Friday, June 24, the Young Lawyers' Division of the Volusia County Bar Association hosted a celebration in honor of Katherine Hurst Miller at the Grind in Ormond Beach. 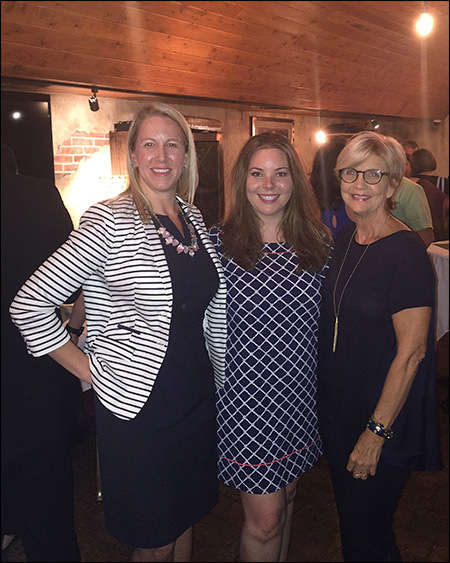 Ms. Miller, pictured here with Rice & Rose Attorneys Kayla Hathaway and Beth King, was recently sworn in as President of the Statewide Young Lawyers Division of the Florida Bar. Ms. Hathaway presented Ms. Miller with a gift on behalf of the local YLD.